This semester I have taken on a sculpture class. I didn’t think I would like it, nor did I think that I would be able to come up with ideas for the projects. Boy was I wrong. The class is awesome and I have seen some cool stuff come out of it. I always thought I would be a 2d girl based on my photography, and though I don’t think I will go anywhere with sculpture, it is a fun thing to do right now. 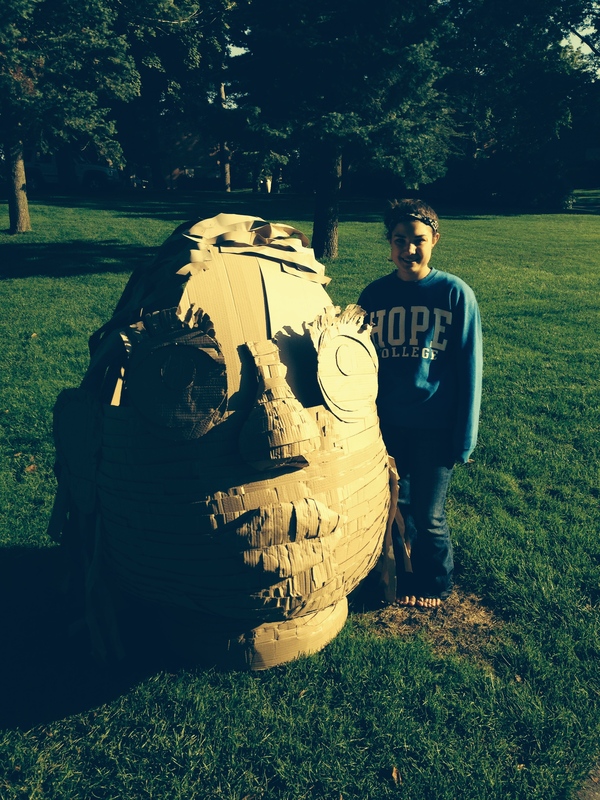 Our first project was to build a giant head – it had to be as tall as we were and be made completely out of cardboard, staples, and glue. I didn’t quite finish mine due to circumstances that involved me standing up into the freezer (oops). It is supposed to have strips of cardboard all the way up, not just on the bottom half and there is supposed to be more hair and a bow to hold back the bangs. I wish I could have finished, but oh well. I’m still happy with what I came up with. 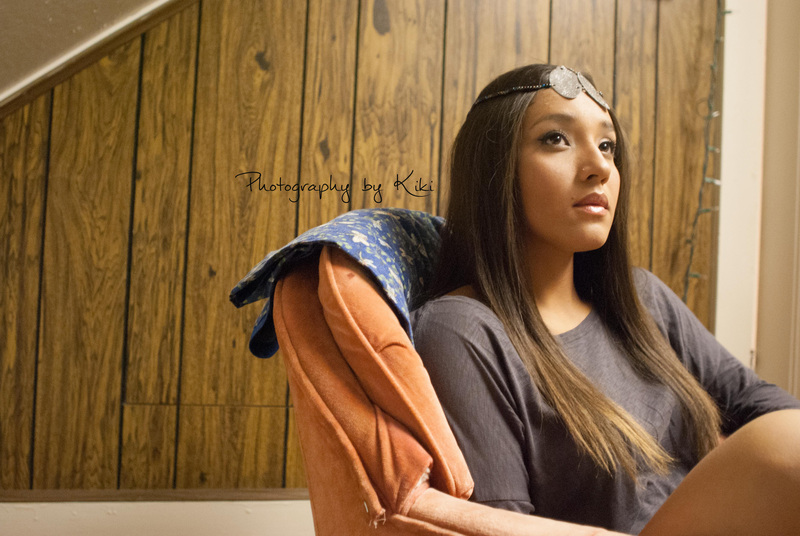 The project we just finished had to be based on a poem and it had to be wearable. At first I thought of making a maxi skirt, but I wasn’t very excited about it so I rethought the entire thing. The poem I used was Psalm 8:3-4: 3When I consider your heavens, the work of your fingers, the moon and the stars, which you have set in place, 4what is mankind that you are mindful of them, human beings that you care for them? 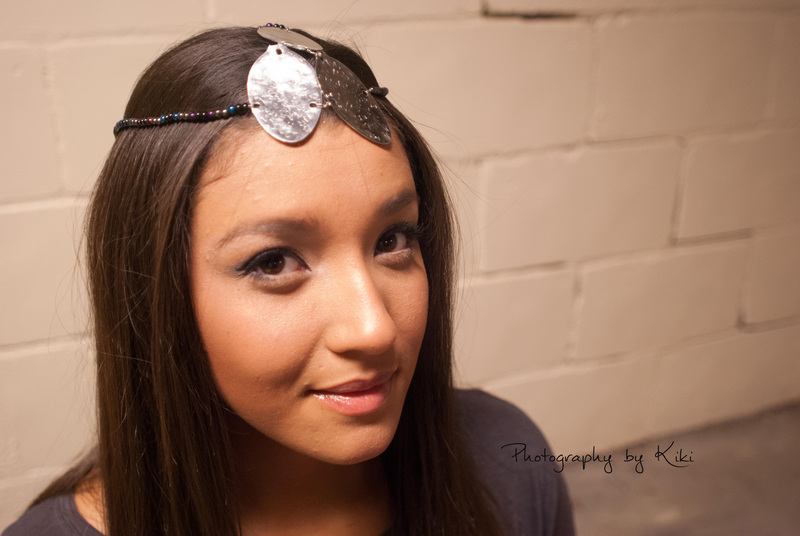 I wanted to make this using some recycled objects as well and I was fascinated with the shape of spoons. I cut the handles off of three so I could stamp the poem into them. I played with the words heavens and human beings. I tried to make the project look celestial and draw it back to people I know. I did this by using the chrome in the spoons and black, purple, blue, and chrome beads. 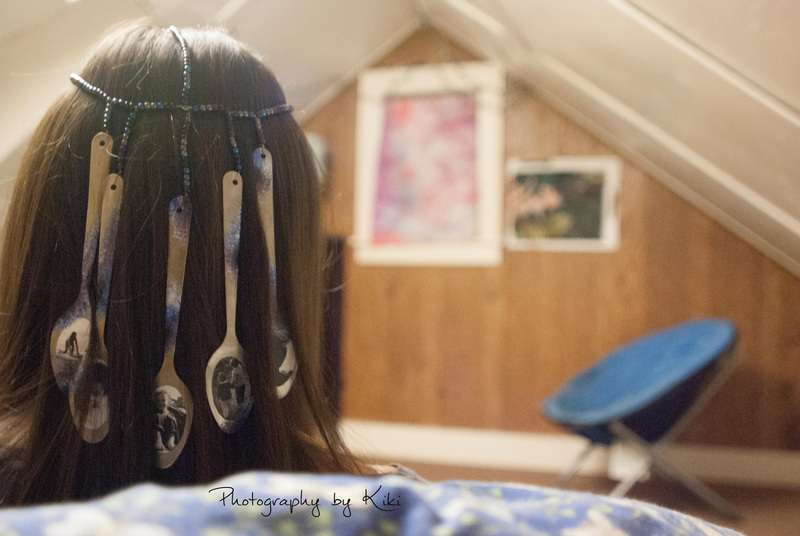 I also put black and white pictures I have taken on each of the 5 spoons used in the back and painted galaxies on the remainder of those spoons. This past weekend, I had my house mate pose for me so that I could take some pictures of the project to share. Right now I am working on making a paper mache tree and adding real leaves with sustainability quotes on them. The viewer will be encouraged to touch the leaves to read the quote and over time this will cause the leaves to crumble reflecting human’s effect on nature.